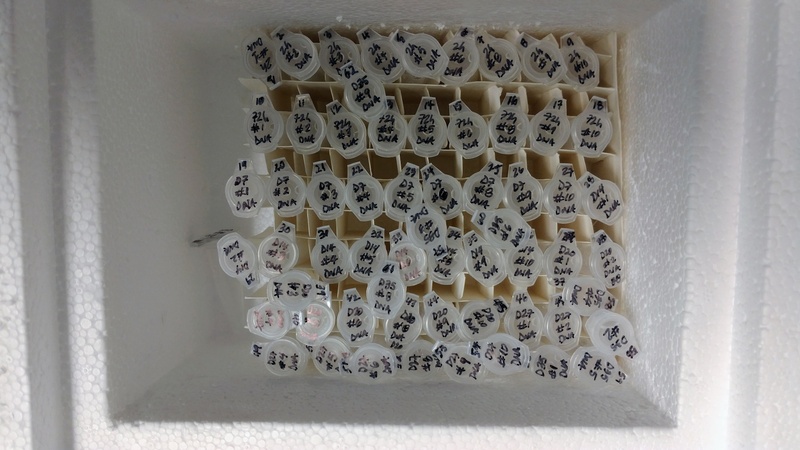 This entry was posted in Samples Received and tagged caligus tape, DNA, sea lice on 23 May, 2018 by kubu4. This entry was posted in Samples Received and tagged DNA, OsHV-1 on 21 December, 2017 by kubu4. This entry was posted in Samples Received and tagged Acropora cervicornis, DNA, FIU, Staghorn coral on 9 May, 2017 by kubu4. This entry was posted in Samples Received and tagged Blyth Marshman, CDFW, DNA, Haliotis sorenseni, Jim Moore, SF16-76, SF17-17, white abalone on 15 March, 2017 by kubu4. This entry was posted in Miscellaneous and tagged coral, DNA, DNA Quantification, Qubit 3.0, Qubit dsDNA BR on 30 June, 2016 by kubu4. 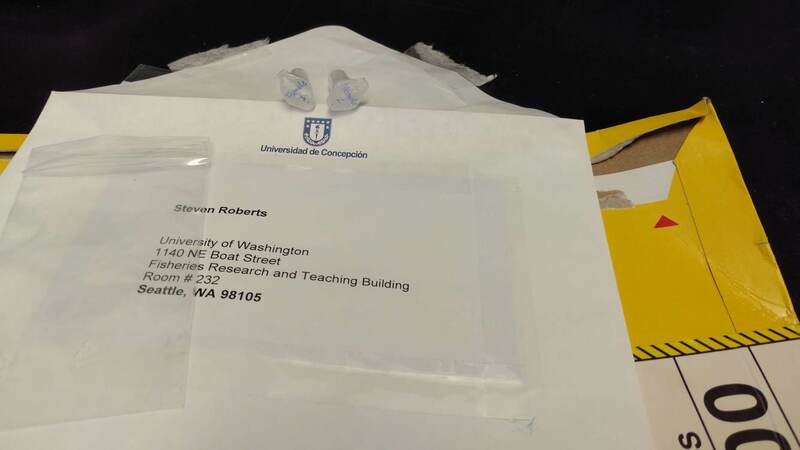 “Dear Steven, the coral DNA samples were sent today by my student Javier (cc’ed here) to your lab. Here’s an excel attached with info for the samples including concentration and treatment of the coral from which they were extracted (N, nitrogen; NP, nitrogen+phosphorous; C, control). Please let us know when you get these in the lab so we know all is fine! This entry was posted in Samples Received and tagged coral, DNA on 15 June, 2016 by kubu4.